Ina Mapes is a second cousin to Senator Elizabeth Warren. 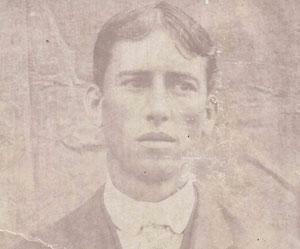 Harry Reed was part Indian, say descendants. 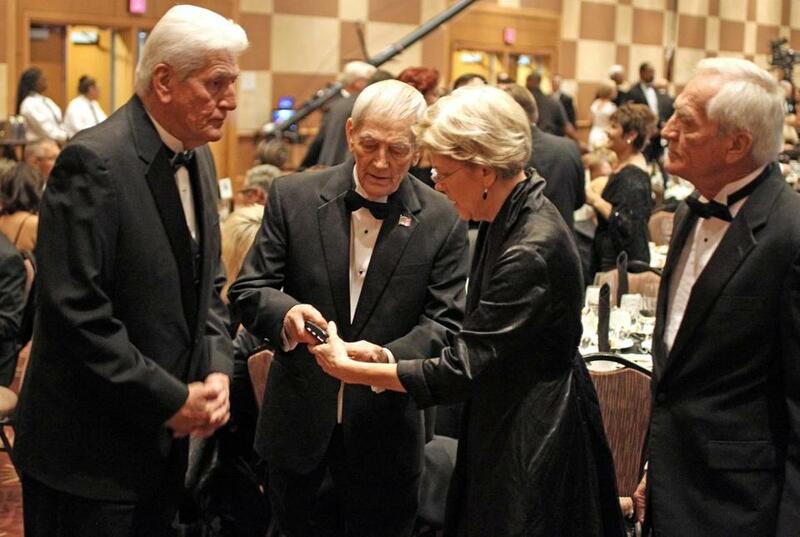 Elizabeth Warren inducted into the Oklahoma Hall of Fame at the Cox Convention Center in Oklahoma City. She was accompanied by her three older brothers; John Herring (left), Don Herring (middle), and David Herring (right). On the plains of Oklahoma, where many of the nation’s tribes were forcibly relocated in the mid-19th century, the American Indian has long been a dominant cultural force. The very name Oklahoma is derived from the Choctaw word for “red people.” Oklahoma has the second-largest population of American Indians and Alaskan Natives in the United States, with 8.6 percent of its people claiming such heritage in 2010, according to the US Census Bureau. But many local historians believe the number is more likely double that given the widespread mingling of the Native American and Caucasian populations. As a teenager, Warren’s grandmother, Bethanie “Hannie” Crawford, drove a horse-drawn wagon in 1888 from her native Missouri to the Indian territory that would eventually become Oklahoma, drawn by the prospect of land and opportunity. Several of her then four siblings came with her and several more would be born in the Cherokee Nation, Indian Territory, in the following years, according to the US Census of 1900. The Crawford sisters married the Reed brothers on the same June day in 1893, according to their marriage records. Laura and Everett had one son, Charles Reed, who was born in 1906, the year before Oklahoma became a state. He fathered one daughter, Ina Mapes. Both the Reeds and the Crawfords are identified as “white” on federal Census forms in the early 20th century that rely upon self-identification. While that may have been a simple statement of fact, they may also have been trying to obscure their ethnicity. At the time, the federal government was attempting to break up reservations by granting land allotments to individual Native Americans, pressing them to assimilate into white society and leave their tribal ways behind. The goal, as one officer bluntly put it, was to “kill the Indian and save the man.” Those who could pass for white — or convince the census taker that they were — sometimes did. Some among the many descendants of Hannie and Laura Crawford’s siblings — who did not marry Reeds — say they had never heard of Native American blood in the family. Dixie Crawford Hicks, another of Warren’s second cousins and the chairwoman of the Department of Social and Behavioral Science at Faulkner University, a Christian university in Montgomery, Ala., plumbed deep into the family history in writing a biography of her grandfather in 1976. Rosco Crawford, Hannie Crawford’s brother, told Hicks that as a young boy living in the Creek Nation of Indian Territory, the Indians were “pretty mean.” Once, when a Creek was hitting Crawford’s younger brother, their father shot and wounded the Indian, according to her biography, on file at California State University at Fullerton. Gloria Wysong, a cousin of Warren’s, said in an e-mail that her mother told her that the family’s heritage “was Delaware, but the Delaware and Cherokee merged together. 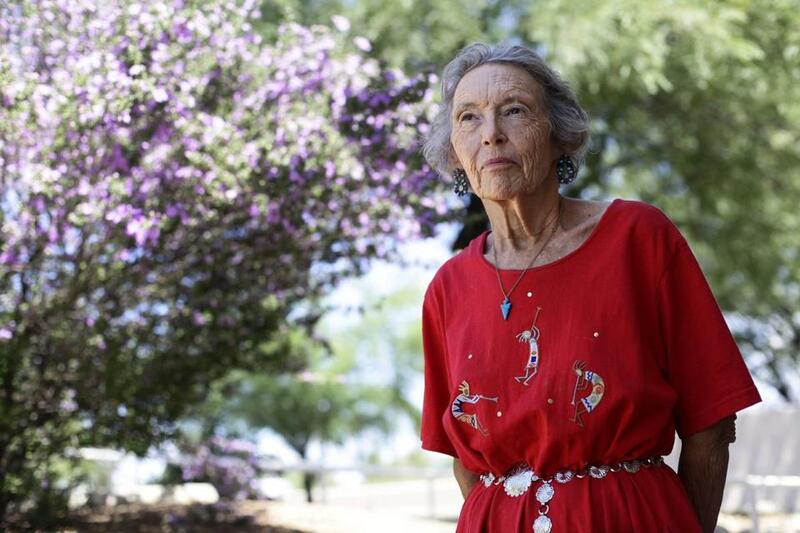 She’d heard the stories from her grandfather who built houses in Indian Territory.” Wysong, who lives in Oklahoma City, and others in the family declined to elaborate. David Yeagley, whose mother was Comanche, said that he and his brother Fred, who was a class behind Warren, were routinely teased for their dark hair and skin. When fellow members of the football team did not feel like playing on a hot day, “they’d say, ‘Fred, do a rain dance. Do a few steps for us,’ ” Yeagley said of his brother, who died in 2000. Jeremiah Manion and Noah Bierman of the Globe staff contributed to this report. Sally Jacobs can be reached at jacobs@globe.com.